Somehow, when we think about settling down with a good book, we often don’t consider the joys or the merits of non-fiction. Today, I feature ten must-read books from my list of favourite non-fiction books. They’re essential reading for anyone who wants to experience life on a higher level. Who Are You, Really? The Surprising Puzzle of Personality by Brian R Little – In this latest TED book, Little, a psychologist, argues there is an alternative theory to personality development that transcends the traditional nature vs nurture theory. Little argues that the personal projects we choose in life are what really shape our personality. The Year of Magical Thinking by Joan Didion – One of my favourite essayists, Joan Didion, manages to pen an uplifting book about dealing with unexpected grief. This is an unimaginable story that takes place one night when Didion and her husband John Gregory Dunne had returned to their apartment after visiting their critically-ill daughter. There, while cooking supper, Dunne’s husband slumped in his chair and died. Anyone who has ever suffered the death of a loved one needs to read this book. Essentialism: The Discipline of Pursuing Less by Greg McKeown – In a world that pours more and more work and stress on us, it is refreshing to find a small, helpful book that teaches readers that less is more. There is power in choosing work wisely, prioritising our tasks and saying no when necessary. 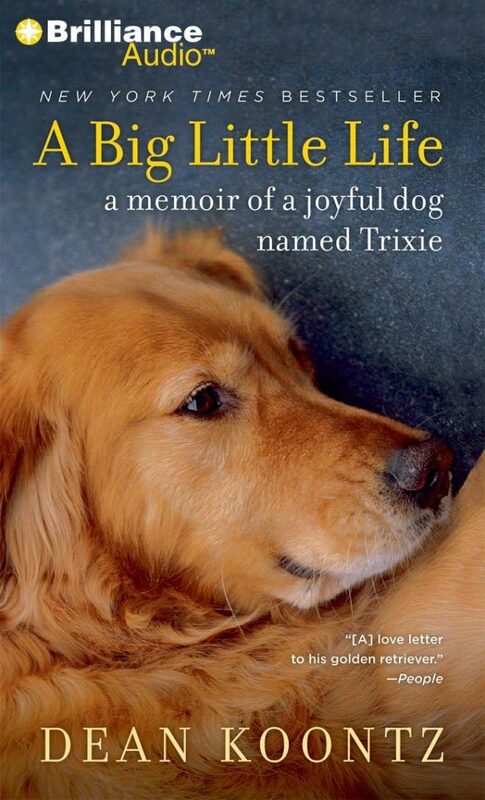 A Big Little Life: A Memoir of a Joyful Dog Named Trixie by Dean Koontz – When you think about masters of the horror novel, Stephen King and Dean Koontz lead the pack. But Koontz has written the ultimate book about why we love dogs – even knowing we will have to deal with their deaths some day. This is the best book there is about dealing with the grief of losing a pet. Sleep Smarter: 21 Essential Strategies to Sleep Your Way to a Better Body, Better Health and Bigger Success by Shawn Stevenson – Although this book is often heavy, there is essential information about how to get a better sleep. Most interesting to me is the history of sleep patterns, which changed dramatically at the beginning of the Industrial Revolution. We are still trying to match our sleep patterns to that era. Shoe Dog by Phil Knight – Many autobiographies come off pompous and self-indulgent, but Phil Knight, one of the co-founders of Nike, has penned a light, funny memoir filled with many interesting tips about how to take chances so that you can be happy and successful in life. 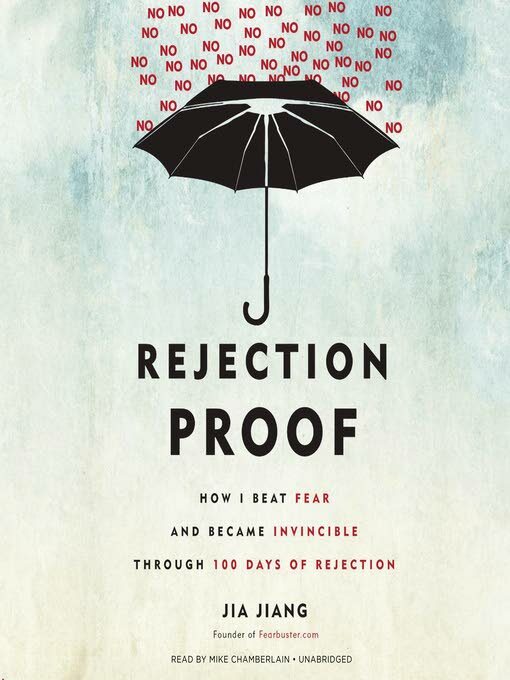 Rejection Proof: How I Beat Fear and Became Invincible Through 100 days of Rejection by Jia Jiang – When Jiang decided to quit his job and pursue a new path in life, he challenged himself to face rejection in the hopes it would make him stronger. What he found was that the fear of rejection is what really keeps us back, because most of the time we don’t face the rejections we expect. This is a book about taking chances to achieve your dreams. 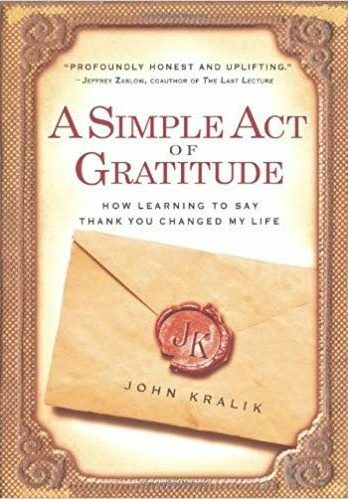 A Simple Act of Gratitude: How Learning to Say Thank You Changed My Life by John Kralik – What if we started every day with a thank-you note to someone? Instead of moping when he lost his house, wife and job, Kralik, a lawyer, decided to concentrate on what he had to be grateful for in life. Every day he wrote a thank-you note to someone, and this transformed his life. These eight books are a fun, fulfilling read that serve as personal reference books for me on a daily basis. Reply to "Favourite non-fiction books"